The Palace Theater Oakland wishes to thank you for your support, in taking time to check out our project and for your consideration of making a donation whether monetarily or energetically. The Palace Theater Oakland is a big hearted project and an epic orchestration that is in need of your help. Since we opened July 2014, the response has been truly awe-inspiring to see the outpouring of hard work and appreciation that The Palace Theater Oakland has received from the neighborhood, friends, and beyond. It is only with these efforts and connections that our doors remain open to all the possibilities. As we continue our stewardship of this amazing and massive being, your help will enable us to carry on the restoration of the theater and to create and produce dynamic, contemporary events. Ensuring that The Palace Theater Oakland will be preserved and restored once again, as an anchor in Oakland’s arts and entertainment community, we will also be providing space for the events and projects of our local community and others. The Palace Theater Oakland works on many levels. It’s a pleasure to tell you about a few of the most important and rewarding. 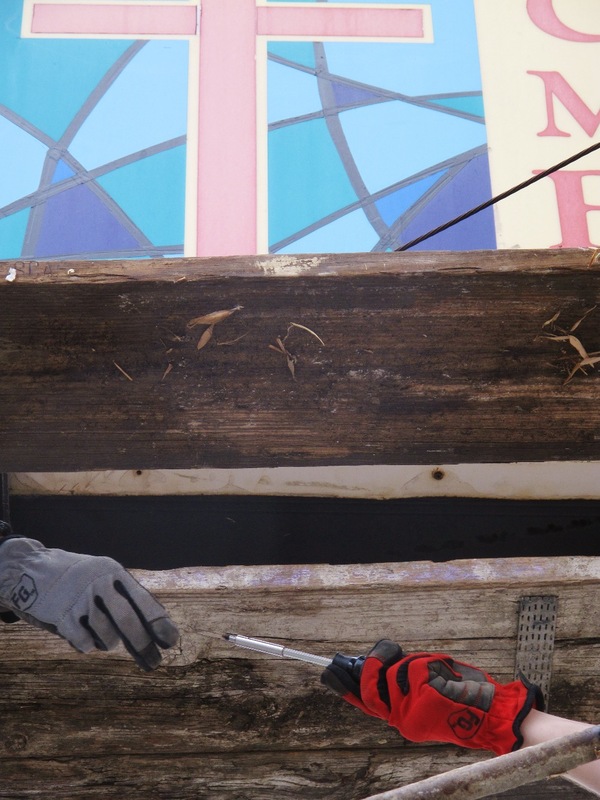 Through our effort to restore the theater we preserve history and arts as well. Through the golden age of movies in the 20’s we saw the rise of the great movie palaces. These unique buildings were built in almost every neighborhood. These palatial structures were the meeting places of the people, built of complex architecture and at times finely furnished. The theaters were made to make people feel like royalty. An idea that for a small amount of money, even during the depression, you could come to these palaces and feel like a movie star. We are so happy to hold one of these palaces and excited about the opportunity to preserve and restore a treasure with such a rich history. 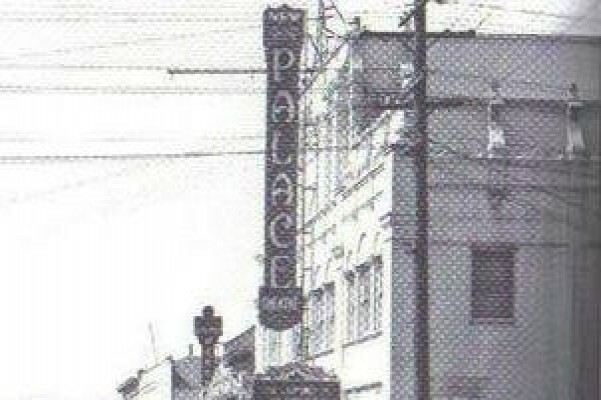 The Palace Theater Oakland was built in 1923 by a baudy large man with a scruffy beard named Allen King, who is known for his seedy theater performances. After 10 years in the 23rd Avenue Commercial District (now San Antonio Neighborhood), he moved his business to downtown Oakland. He opened the Moulin Rouge where he featured “Girlesque” shows. It was at this time, the theater was picked up by the Golden State/Fox West Coast theater chain who commissioned the famous Reid Brothers architects (Grand Lake, Hotel Coronado) to redesign The Palace Theater Oakland into one of the great examples of Spanish Colonial Revival Architecture, the style that lead next to Art Deco. The Palace Theater Oakland boasts high ceilings and exposed beam arches and hand crafted wrought iron detailing. As well as façade walls that run the length of the auditorium giving the patron a sense that they are outside in a garden, surrounded by the buildings of a city, whereupon the stage looks like the patio of a great palace. These theaters had special effects that were called atmospherics, featuring star scape ceilings that passed overhead in the “sky”. For The Palace Theater Oakland, the spanish colonial architecture was taken from the theme of the 23rd Ave. Historic Commercial District where the theater is one of the primary contributors to this style, and an anchor in the history of the district. The neighborhood has 30 to 40 charming old buildings that are dated as far back as 1889. Most of them were built in the 20’s, all featuring the same style of architecture. The Palace closed as a theater around 1953 and was bought by a church that kept and preserved the building for 60 years. Of the three Spanish Colonial Revival theaters that were designed by the Reid Brothers, The Palace Theater Oakland is the only theater that wasn’t demolished and rebuilt. At the present time, through Lucid Dream Lounge, The Palace Theater Oakland is open once again as a venue and performings arts space. A place and space for the people. The Palace Theater Oakland is the headquarters of Lucid Dream Lounge, Inc. who produces in house events on a regular basis. Lucid has been experimenting and evolving for many years as a force in the realm of interactive and submersive theater. Now with The Palace Theater Oakland there is space for large visions and big dreams in the form of full scale, high production plays and musicals that have walk through sets and multimedia environments that will blow your mind. We will also be hosting dinner theater, cabarets and speakeasy/ variety shows that have running characters and feature local talent, marketplace bizarres, game nights, showings of movies and art films, open galleries, open mike/poetry, as well as classes in art, dance, theater, and writing. 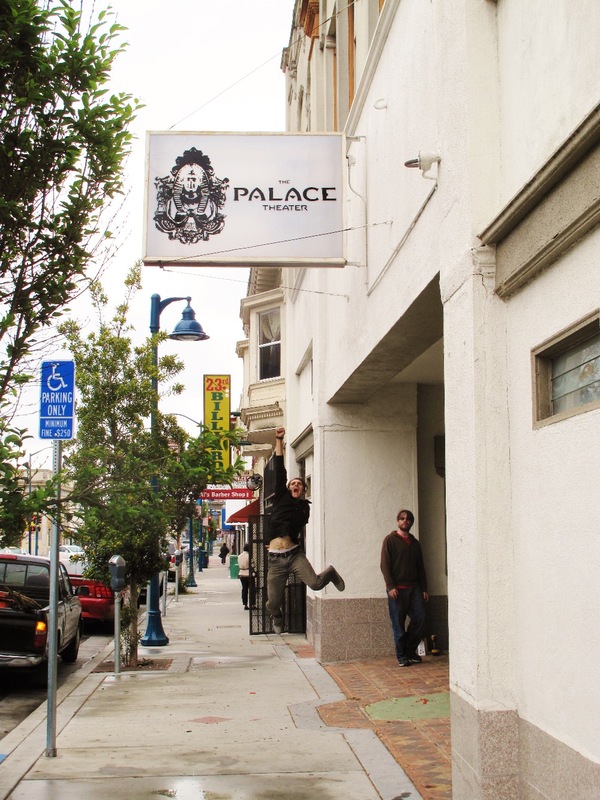 The Palace Theater Oakland is also home to the projects of LDL members such as the Kenjitsu Dojo Oakland, a private recording studio, and several artist’s studios. The Palace Theater Oakland is also pleased to open the doors for future events and projects that have been brewing in the area and are in need of space. And the list goes on and will continue with your help. We at Lucid Dream Lounge, Inc. are reinventing the sit-down dynamic of classic theater, by creating a walk through interactive model. One of the biggest set backs in being able to safeguard these beautiful and architecturally complex theaters, like The Palace Theater Oakland, is that people and artists are perplexed by what to do with so much space. This show model makes it possible to fill spaces as big as a warehouse all the way up to an airport hanger or even a ghost town. Within large spaces the possibilities are endless. In the last few years people have realized the potential of these old theaters as performing arts and events centers in their communities, opening doors to a huge range of artistic programming. Once again, The Palace Theater Oakland is open as a theatrical venue, and with this comes a lot of opportunity. 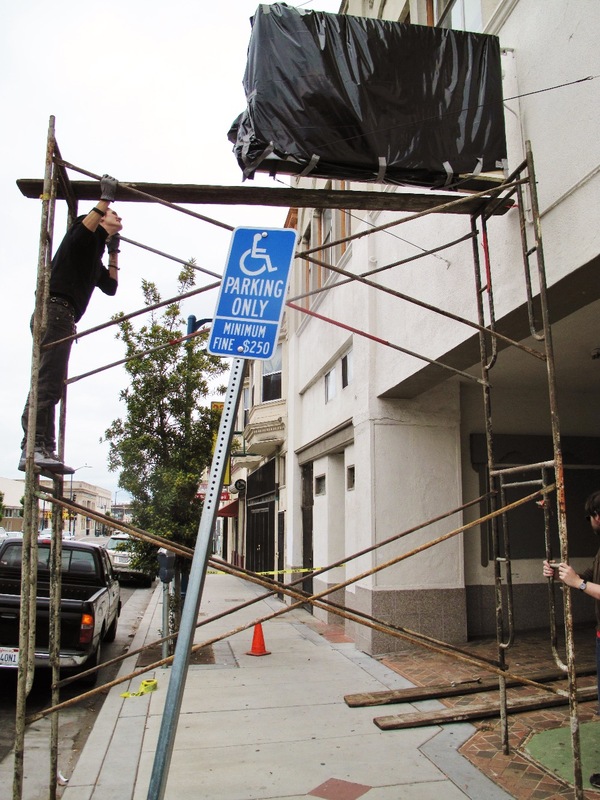 There is great potential to bring art and commerce to the City of Oakland and the San Antonio neighborhood, as well as an opportunity for people to shine and be a part of working art; affording the ability to be hired and respected as craftsmen, specialists and performers. Lucid produces a new model of events, that raises awareness to the potential of old theaters like The Palace Theater Oakland. We are pleased to play host to rebuilding one of these beautiful jewels of architecture and history. We are honored to work tirelessly to keep The Palace doors open for many more lifetimes; providing arts, culture, and commerce to the people. Thanks for taking the time to read about The Palace Theater Oakland. Please consider making a donation to the project. Please check out and subscribe to our Youtube Channel and other social media. For more interesting history and upcoming events check out our website and subscribe to our email newsletter. Please tell a friend and spread the word. We've been busy hard at work at The Palace Theater, renovating, creating, and working the love into the beautiful building. A few weeks ago, we hit a milestone of installing our new signage, temporary until we can get a new marquee and vertical sign fabricated and installed, which your gofundme donation can directly support. Thank you for all you support in Art, Film and Community! were I not presently employment-challenged would be much more. Y'all have my interest! I look forward to walking through and admiring the building soon. There is enormous potential for a highly diverse array of opportunities in which to explore, empower, and encourage the community! Yaaaaaay! Massive community arts center in my neighborhood! I can help with mural work, team work, extra hands with hammers, saws and tools.